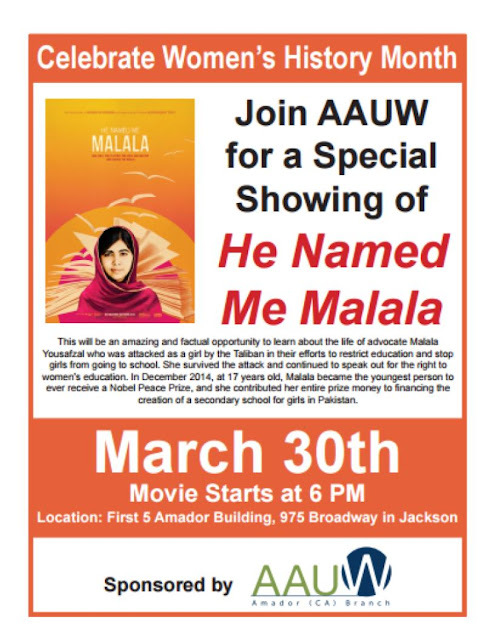 Join AAUW members and celebrate Women's History Month with a movie and discussion. Learn more about a girl's quest for education, what it cost her and, how she succeeded in earning a Nobel Peace Prize. Our March Libations & Conversations, at Amador 360 in Plymouth, Tuesday, March 21, will also have a Women's History Month topic. Stephanie Young will lead a discussion about Mary Rippon, the first female professor west of the Mississippi. Join us Thursday, February 23 at the Union to support an amazing community service provided by Amador STARS. Bring a bottle of wine to support the Amador STARS Corkage for a Cause night. 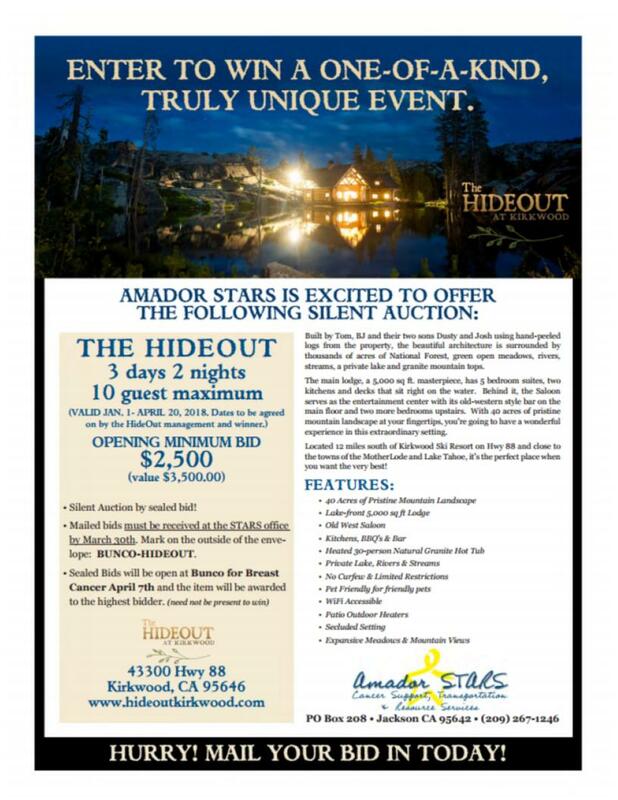 Every $10 corkage fee paid on February 23 will go directly to Amador STARS. There will also be a special raffle to support STARS. Call us to reserve a table at 209-296-7711. Have you seen our new menu?? Come by and try some new tasty menu items. Join us for Chubby Monday on February 27 ... Volcano's prelude to Fat Tuesday... mask making, beads and cajun special menu. Because we can... it's Volcano. 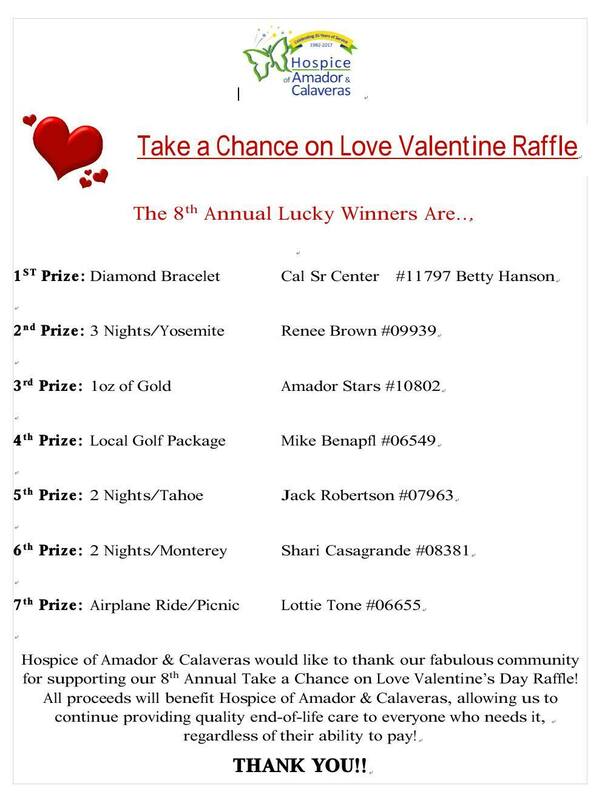 This past Valentine’s Day, Hospice of Amador & Calaveras announced the 7 lucky winners for their 8th annual “Take a Chance on Love” Valentine’s Day Raffle, which were drawn & announced live on KVGC Radio. Ariane Debien, Hospice’s new Executive Director said, “I am truly overwhelmed to learn of the community’s continued generosity to Hospice of Amador & Calaveras, announcing this year’s event raised over $25k by purchasing 4,976 raffle tickets, with all proceeds benefitting your local hospice, Hospice of Amador & Calaveras." Ariane also expressed how appreciative the team is of the very generous donors & contributors who helped make this year’s raffle another success! Thank you to our very generous donors: Stan Lukowicz, The National Hotel, Jackson; Dr. Ralph & Isolde Harder; Louise Longley & The Alice McLaughlin Estate; Castle Oaks Golf Club; Greenhorn Creek Resort; La Contenta Golf Club; Saddle Creek Resort; Sequoia Woods Country Club; Keith Des Voignes, Century 21 Tri-Dam; Wayne Garibaldi, American River Bank, and Jim & Cheryl McCloud, Foothill Aviation), contributors (Jackson Rotary Club, Jackson Lions Club, Angels-Murphys Rotary Club, American River Bank, Jim & JD Guidi of KVGC Radio and Bill Cruit, Webmaster) raffle sponsors (Andrae’s Bakery & Murphys Historic Hotel - volunteers who sold tickets, distributed posters, and to the heart-felt dedicated local staff for doing such a great job caring for our patients & families, and being the inspiration for folks wanting to support us; volunteers who worked on this fundraiser & general supporters (we are fortunate to have too many to list, but we appreciate each and every one of you!) and everyone who purchased a ticket to support your local hospice mission. Hospice of Amador & Calaveras, end-of-life specialists, trusted by physicians, patients and families serving Amador & Calaveras Counties for 35 years. If you think hospice care may be right for you, call 209-223-5500 or 209-736-9442 today to learn how your local, non-profit hospice can help. 1. LGBTQ Social and Activity Group: On-going, every 1st and 3rd Fridays, 4:00 – 5:30 at Hein and Co., 204 Main St., Jackson. All ages welcome. Join us for dialogue, friendship, support and social activities. Contact: Marla Vander Meer (209) 256-3750 also find us on facebook at Motherlode Pride Center. ** This Friday, Feb. 17 our group will be having a Beginning Drawing class taught by local artist, Lori Williams. There is no cost. The drawing part is not mandatory. Materials will be provided. People can bring something with them like a photo or something else they want to draw. We will probably be downstairs. Look for the mini Pride Flag. 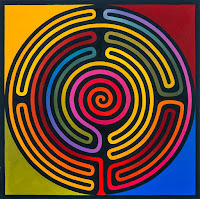 ** March Labyrinth Event – “Relax into Spring” - Save the Date! Time: 12:00 noon to 3:00p.m. 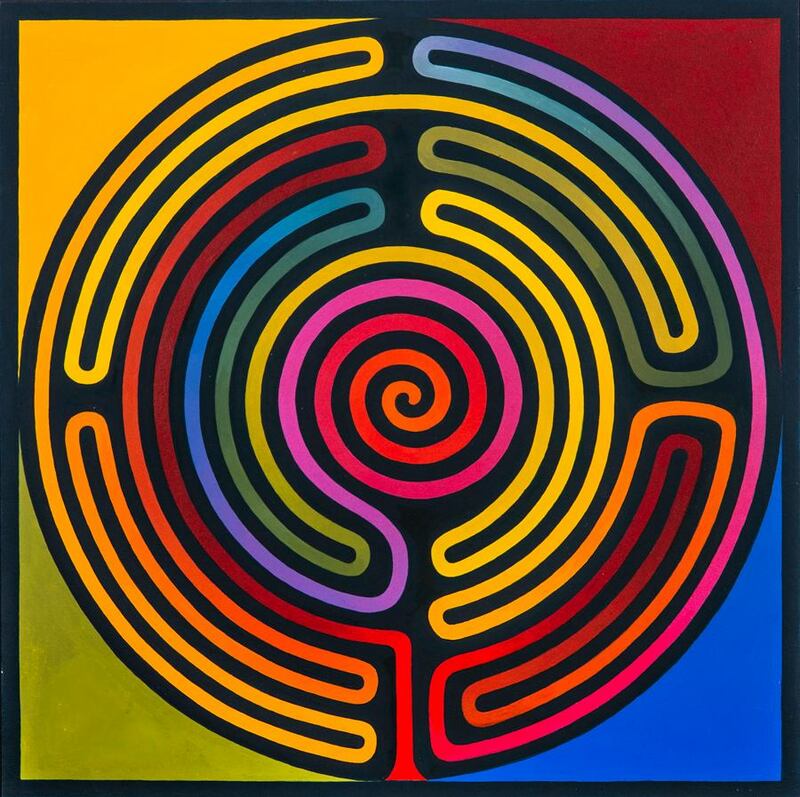 What: Drop in labyrinth Walk – Introduction to labyrinths (what they are) and their use as simple but effective tools for stress reduction and relaxation. Opportunity to walk our beautiful 30’ canvas labyrinth. Inside event – rain or shine. 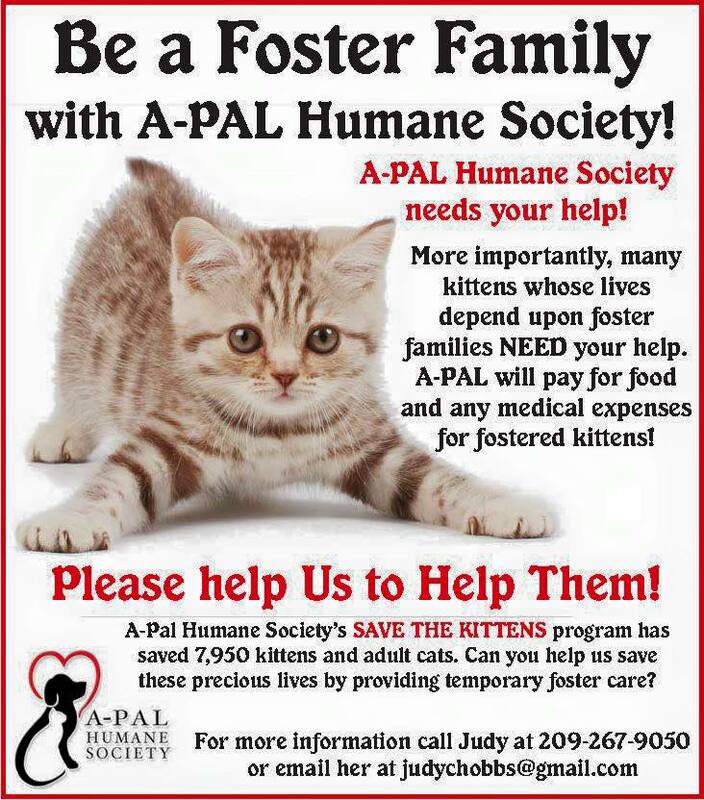 For more information contact Marla at (209) 256-3750. 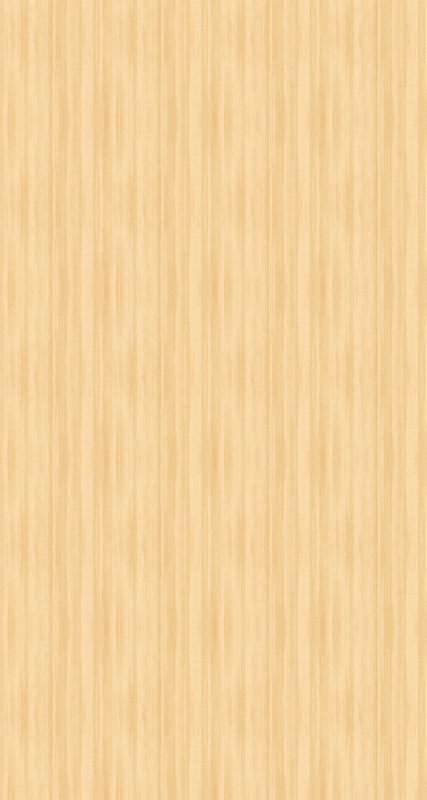 Labyrinth Project services are available at NO COST! 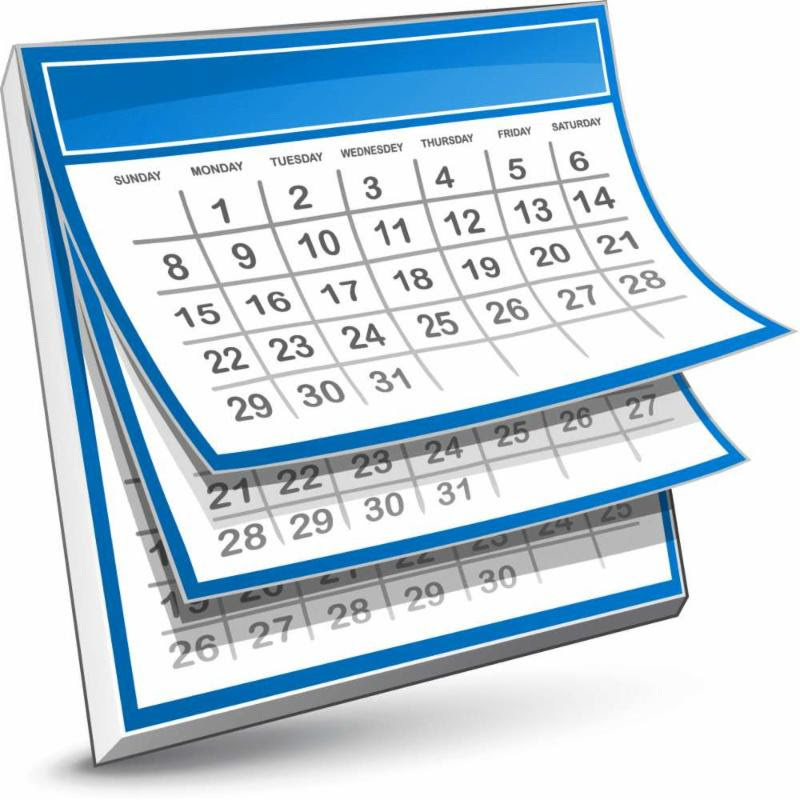 Schedule a presentation, workshop, labyrinth walk, labyrinth event or even a labyrinth building consultation. Talks, workshops and walks are offered with a variety of focus and can be tailored to your specific needs. We are also happy to participate as a part of other events. For more information contact: Marla Vander Meer, Veriditas Trained Labyrinth Facilitator at (209) 256-3750. Valentine's Day often comes with a lot of pressure and expectation about what the day should look like, whether or not you are in a romantic relationship. In preparation of this Valentine's Day, consider putting your energy into the relationship that you have with yourself, without giving into the false need to rely on any outer circumstance or person to dictate and determine the course of your day. Gift yourself with all of the things that you wish to receive or experience on this or any day. Allow yourself to bask in the beautiful brilliance that is you and to treat yourself to all of the greatness that you long for and deserve. By giving yourself these gifts, you are more able to share your love with your children. Try out one or all of these ideas and see which ones resonate with you. Have Willingness - Commit to changing up the way you have moved through your relationships in the past. Challenge what hasn't worked so far and actively commit to understanding who you need to be to love yourself fully and to attract a partner who can also love you for your authentic self. Forgive Yourself - Excuse yourself for all the times that you may have lost a significant piece of yourself to find another. Deeply forgiving past mistakes and misjudgments in your past relationships will help you cultivate an open heart that is ready for new experiences. 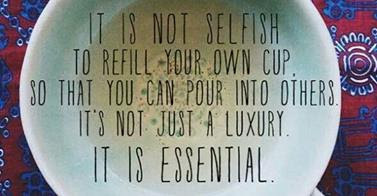 Eat Well - Being selective about what food you choose to nourish your body with, is one of the most important forms of self love. Know how your food choices affect you and select the ones that create the highest form of energy, comfort and delight in your body. Surround Yourself with Beauty - Our outer environment has great influence over our internal condition. Create a space for yourself that lights you up and fills you up. Fresh flowers, soft music or an organized home base can all be very helpful in creating a high vibe living area. Write Yourself a Love Note - Take some time to write down all of the things that you admire about yourself. Release the urge to point out your flaws. Your self doubt muscle may be stronger than your self love muscle at the moment, but focusing on your strengths and your gifts will fuel your mission to create more appreciation and gratitude for yourself. Never underestimate the power and value in nurturing the relationship that you have with yourself. Self-love breeds confidence, success and joy within you. With it comes the great power to breath light into every corner of your life and is the key to creating healthy and lasting relationships with your children. 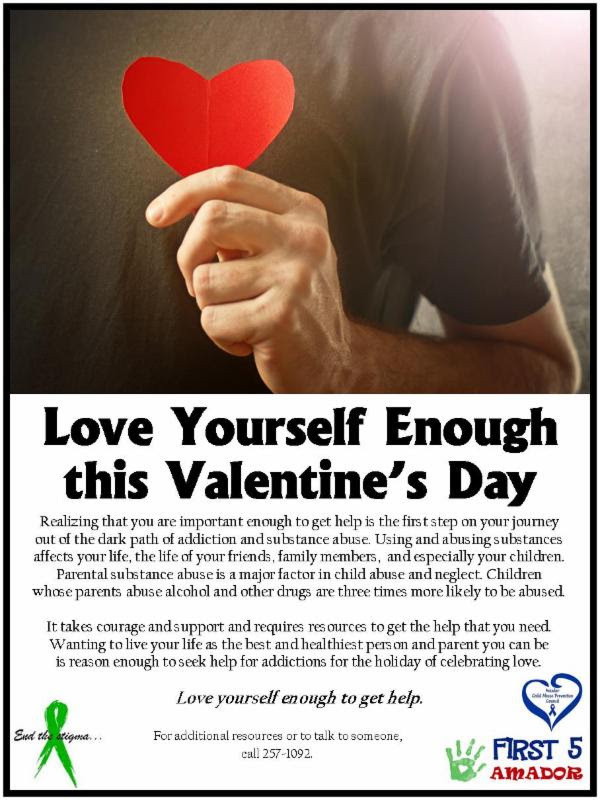 This article has been adapted from the original "9 Ways to Practice Self Love this Valentine's Day" by Melody Pourmoradi. Next deadline Tuesday, February 28, 5:00pm. 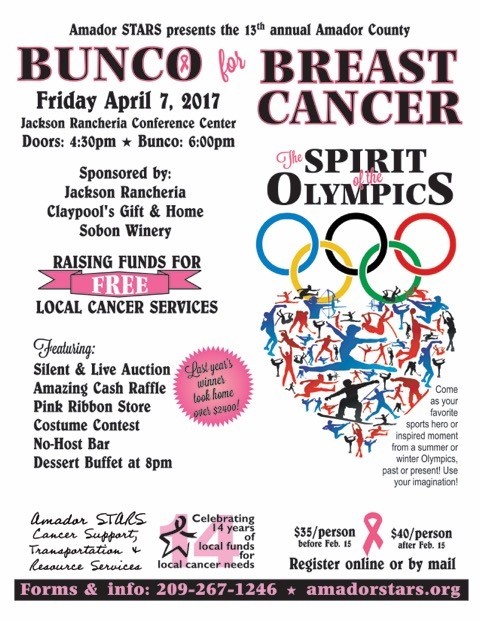 13th ANNUAL BUNCO FOR BREAST CANCER event is coming soon! We have spots for single players and teams to play! You don’t need to play bunco to join us, just pre-register and come for the great time! We also have a beautiful silent auction and wine table auction! It is an amazing evening where we join together with the common cause of helping those on their cancer journey. All of this is possible because of our amazing community that we live in! Our community is the Amador STARS! All funds raised remain local to help women with any type of cancer on their cancer journey through the services of Amador STARS. 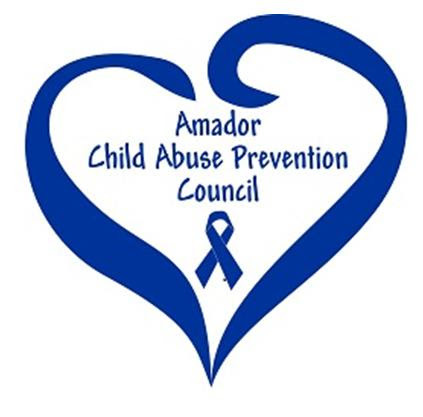 91% of funds raised by Amador STARS last year, went directly to patient services. We offer FREE transportation, wigs, scarves, caps, hats, make up tips w/classes for ladies, support groups and resources.